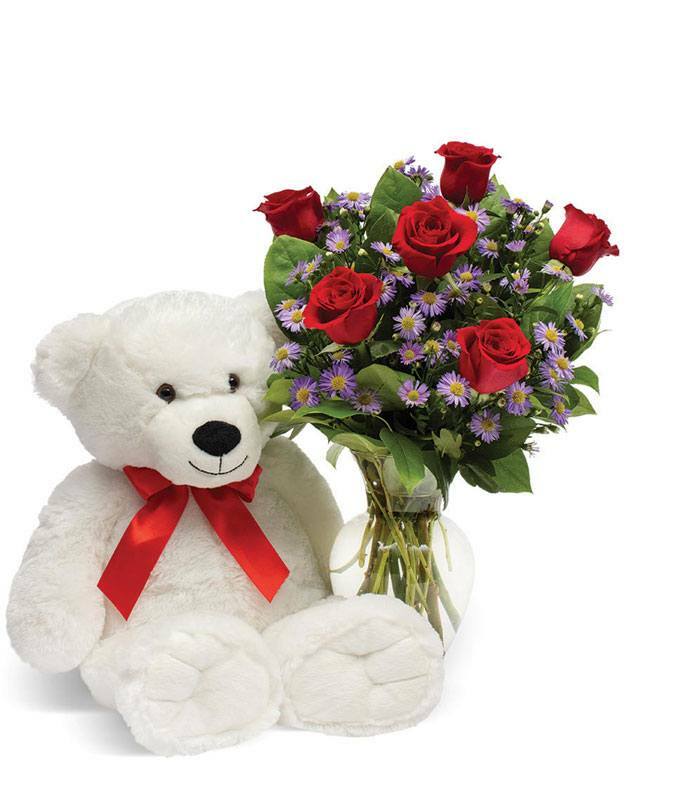 Send your love with this classic Valentine's Day combination of a teddy bear and a bouquet! Your sweetheart is sure to be dazzled with the thoughtful gift of a forever friend in addition to the tradition of beautiful red roses! Please note that the bear will vary. Approximate arrangement Height 20", Length 12"